'The four Manors'. 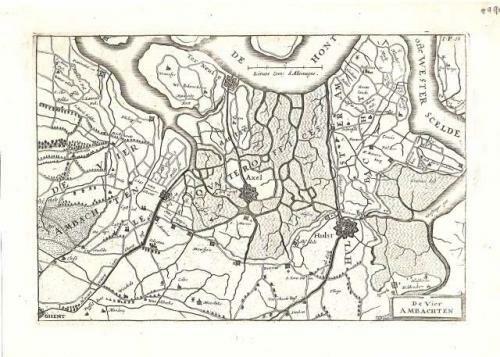 A detailed map of the south eastern section of the province of Zeeland with the towns of Ghent, Axel, Terneuzen and Hulst. Of special interest is the fact that the fotifications of Hulst are still intact.